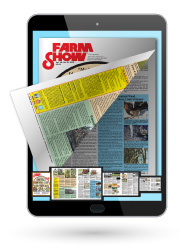 FARM SHOW Magazine » Subscribe » New Subscription - FREE Book Offer! 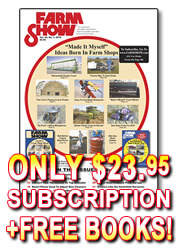 Access to "Flip-Books" of every issue! Use on your Phone, Tablet or Laptop! NEW SUBSCRIPTION - 1 FREE Book + 2 BONUS eBooks! Perfect for anyone that's interested in learning more about what's new in the world of agriculture, farming and gardening. Every 1, 2 or 3-Year Subscription will ALSO include 1 FREE Book + 2 BONUS eBooks! 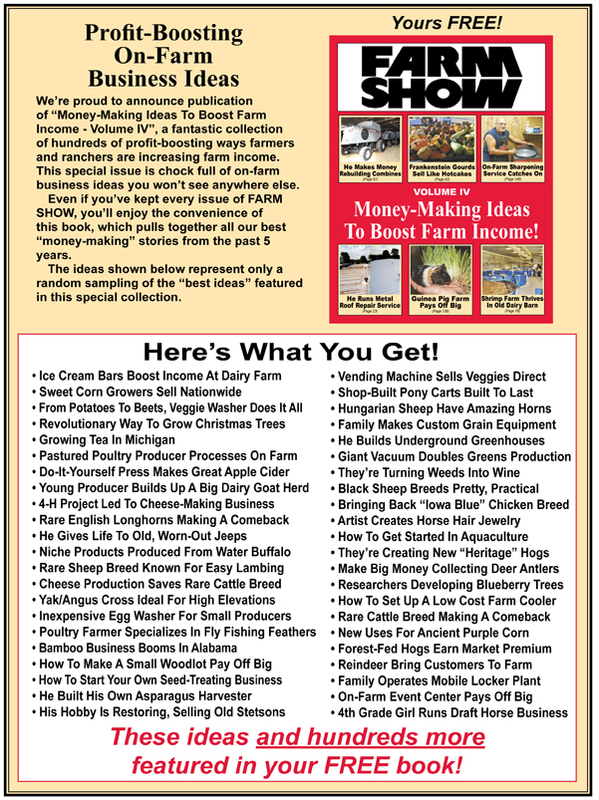 Money-Making Ideas to Boost Farm Income Vol. IV is absolutely free and will be included with your first issue. 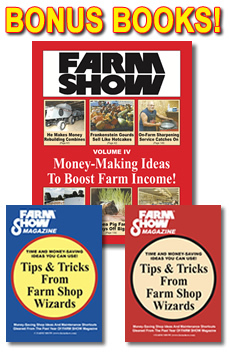 The 2 Bonus eBooks Tips & Tricks from Farm Shop Wizards Vol. 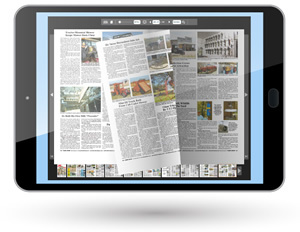 1 & 2 are PDFs that will be emailed to you and can be viewed on your Phone, Laptop or Tablet. Please Note: Our Web Transactions are Safe & Secure. 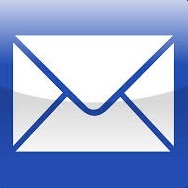 But, if you'd prefer to print an order form, fill it out & fax or mail it to us, click here. New Subscriptions Include FREE Book +2 BONUS eBooks!